Are you tired of all the really bad fake news and counter fake news in the really awful mainstream media? Is there something just not sitting right in your gut? Are you tired of being taken for a fool? Rodney Dangerfield is right: where’s the respect? Why, it’s enough to make you wanna gag a maggot! When author Jeff J. Brown was writing the book, China Rising – Capitalist Roads, Socialist Destinations (2016), he finally realized that he would never be able to understand China, until he got into the heart of America and the soul of the West. It took two years of diligent and patient work, but he finally pierced the veil and stepped outside the Matrix. WOW! It was a humbling, exhausting and absorbing experience and it changed his life forever and for the better. Jeff’s first book, 44 Days Backpacking in China: The Middle Kingdom in the 21st Century, with the United States, Europe and the Fate of the World in Its Looking Glass, (2013) started his amazing journey of global awareness and discovery. Thereafter, when he finished book number two, China Rising, he knew he needed to hone in on China and its people, to show why and how their amazing story is happening before our very eyes. Thus, Jeff penned China Is Communist Dammit! Dawn of the Red Dynasty (2017). 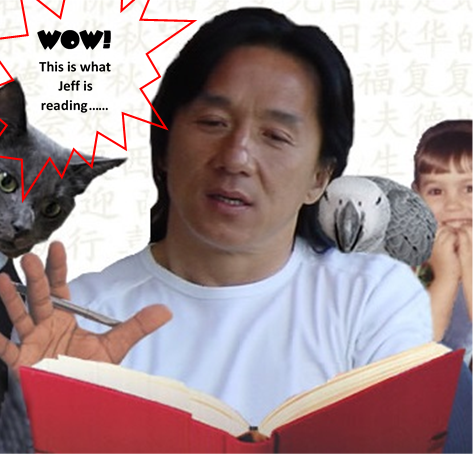 Each of The China Trilogy books offers a unique perspective on your world, through the eyes of China and its people. China Trilogy book #1’s tweet is, “Chinese society and culture”. The first words that usually come out of people’s mouths about 44 Days are “funny”, “personal” and “adventuresome”. On a higher level, readers call 44 Days “one of the most engaging political travelogues in recent memory”, with “Alexis de Tocqueville fluent in Mandarin and traveling through China by backpack and bullet train”. Showing off over 125 visuals, 44 Days is entertaining and informative, from start to finish. 44 Days is available on Amazon/Kindle, Barnes & Noble/Nook, iTunes, Kobo and Ganxy: https://ganxy.com/i/88276/jeff-j-brown/44-days-backpacking-in-china-the-middle-kingdom-in-the-21st-century-with-the-united-states-europe-and-the-fate-of-the-world-in-its-looking-glass. China Trilogy book #2’s tweet is, “The West versus China”. China Rising has a droll foreward contributed by popular author and journalist Pepe Escobar. Based on thousands of hours of research and writing, this book lays out what is at stake for all of humankind in the 21st century: is the world going to continue along its 500-year path of Western supremacy, or might the Chinese be offering a more holistic and just vision for us, our children and grandchildren? Prepare to buckle up for the battle of the ages, boys and girls: it’s a planetary “China versus the West” smack down. Star Wars has nothing on this Titanic duel of ideas and ideals. 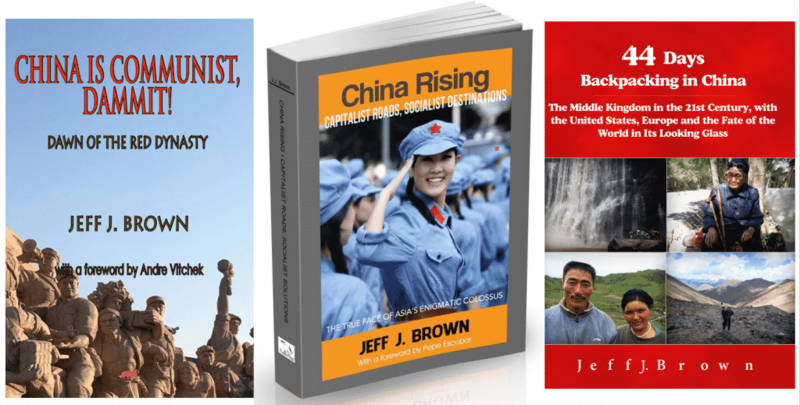 Chock block full with hundreds of dazzling visuals and hyperlinks, China Rising is available on Amazon/Kindle, Barnes & Noble/Nook, Kobo and Ganxy: https://ganxy.com/i/113798/jeff-j-brown/china-rising-capitalist-roads-socialist-destinations. China Trilogy book #3’s tweet is, “Why and how China works”. Jeff’s latest book, China Is Communist, Dammit, starts with a rousing, fist pumping foreward by author and director Andre Vltchek. Brown’s argument is that China’s civilization has been communist since its origins, 5,000 years ago. Karl Marx coined the term, but from the very start, Chinese culture and society have had communism deeply embedded in their DNA. To paint his tableau, Jeff covers China’s daily life, business, education, the arts, governance, international diplomacy, trade and history, in vivid and enthralling detail. You will be amazed at what you discover and what it means for your future. 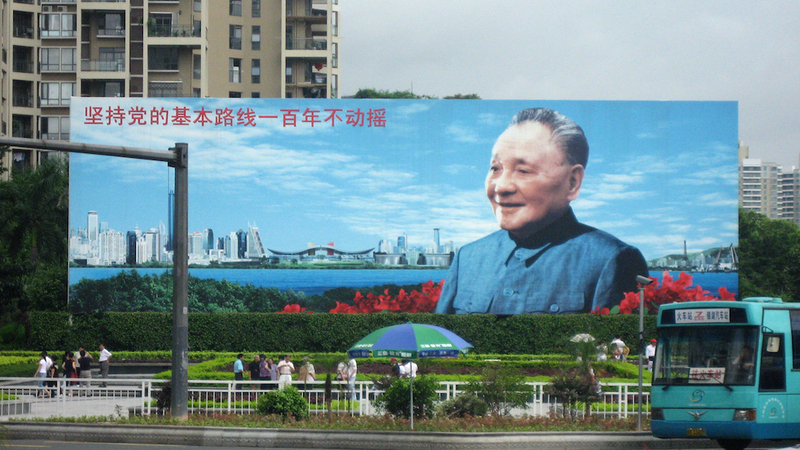 China Is Communist Dammit has over 200 visuals for your sensory enjoyment and deeper understanding. China Is Communist Dammit is available on Amazon: https://www.amazon.com/dp/6027354380/. So, take the challenge and dive into Jeff’s China Trilogy. Your world and your future will never look the same again, and finally… finally – it will all start making sense. That’s a promise you can take to heart! NOTE: Jeff has print books of all three trilogy titles available for fans living on the Mainland. Wechat: search the phone number +8618618144837 or Wechat ID Jeff_Brown-44_Days, friend request, telling Jeff you want to dig into The China Trilogy. You can also email him at jeff@brownlanglois.com or fortyfourdays@126.com. Or better yet, buy one of Jeff’s books offered above. Wechat: search the phone number +8618618144837 or Wechat ID Jeff_Brown-44_Days, friend request and tell Jeff you want to dig into The China Trilogy. You can also email him at jeff@brownlanglois.com or fortyfourdays@126.com. ← China Is Communist Dammit! Dawn of the Red Dynasty, Jeff J. Brown’s newest book, is published! Sorry! Who is the idiot reading this stuff? Why oh why do you have to ruin a serious book by employing an obvious comic-book enthusiast to read the promo script. This man, with his melodious, fluting, false and insulting voice makes it impossible to take the books offered seriously..le this the best you can find to read this? When will you learn? I wants to buy all three, but hesitated after hearing that promo almost sung in that immature voice. Unbelievable! I’ve had a number of people tell me how much they enjoy the podcasts. Opinions are like noses. Everybody has one. More than likely, yours is just one of the more inane rationals to not spend any money to challenge yourself and broaden your horizons, which I also accept as typical human nature. It’s why Mother Earth is in such a mess! Thank you for being Evidence #1! Best from Jeff in China. Read your piece on the Saker. I like your style. With intros by Pepe and Andre you’ve got to have something going for your stuff. I’m gonna get your books….